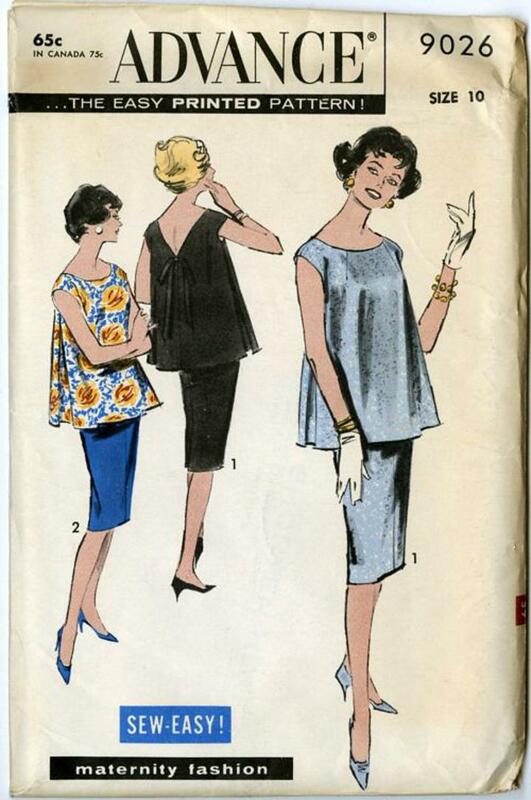 1959 Advance #9026 vintage sewing pattern, misses' classic maternity outfit, size 10. 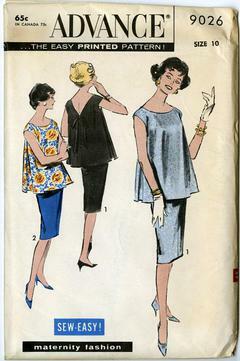 Neckline of over-blouse is a shallow scoop in front, a low V in back trimmed with large bow. Inverted pleats drop from armholes at sides. The skirt has scoop front with supporter and an adjustable waistline.